To achieve this regulated ofqual award you need to complete an initial registration process to ensure that we can adapt to your needs and experience level and answer all your queries. To achieve the Level 3 Certificate course you need to complete 10 units that combine the theory and practical elements essential for safe practice. There are 9 mandatory units and you choose 1 more unit from the options section. The guided learning hours for this course are 300. Our new flexible format brings this course to you in 3 modules. You choose when you wish to start your studies and you steer your learning programme to work at your pace. You can choose to complete your studies in 3 months or any time frame up to 1 year to achieve your qualification. This Level 3 Certificate course is comprised of 3 modules. Theory portion of the course: 12 online units unlocked over the course of 7 weeks. 3-Day Aquatic placement with a range of rehabilitation cases. 3-Day Aquatic placement with a range of athletic dogs and rehabilitation cases. 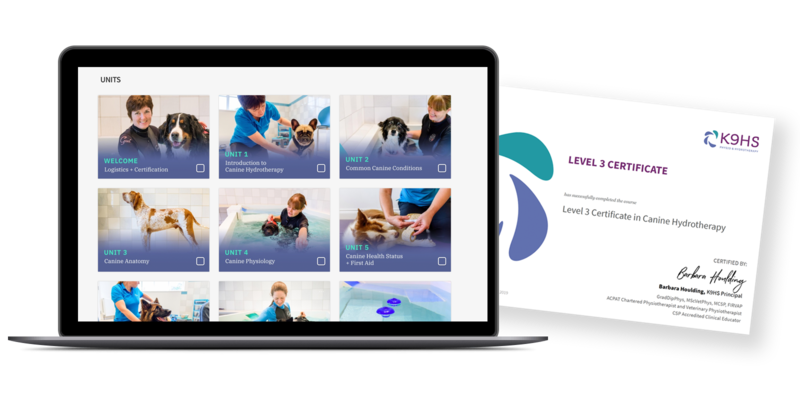 The certificate programme begins with an online theory-based module to build your knowledge and understanding of current hydrotherapy practice. The 12 units are released to you over 7 weeks to support your learning pathway in preparation for the unit practical components you will complete in Module 2 and 3. We begin the process with an informal interview so that we can learn about your experience and needs. In some cases we may recommend an additional practical day before beginning Module 2. Not sure if you’re ready, or have more questions for Barbara before booking in your interview? You can book a Discovery chat with Barbara here. In modules 2 and 3 you’ll take your learning to the next level by linking your theory to the practical skills required for safe and effective practice. This in-person experience involves completing 7 practical days. Module 2 has a single clinical skills day first to cover the practical elements for water management and share key canine clinical skills you can practice before attending the 3-day aquatic practical. Module 3 is your second 3-day aquatic practical, offering you 48 hours of hands-on training overall. Research identifies this layered approach with support and time to reflect and build clinical skills, deepens your learning and advancement. We bring you a practical enriched course that is ideal for those who enjoy developing hands-on skills. You work in real clinics with a range of dogs and meet their owners as well as workshop style practicals. 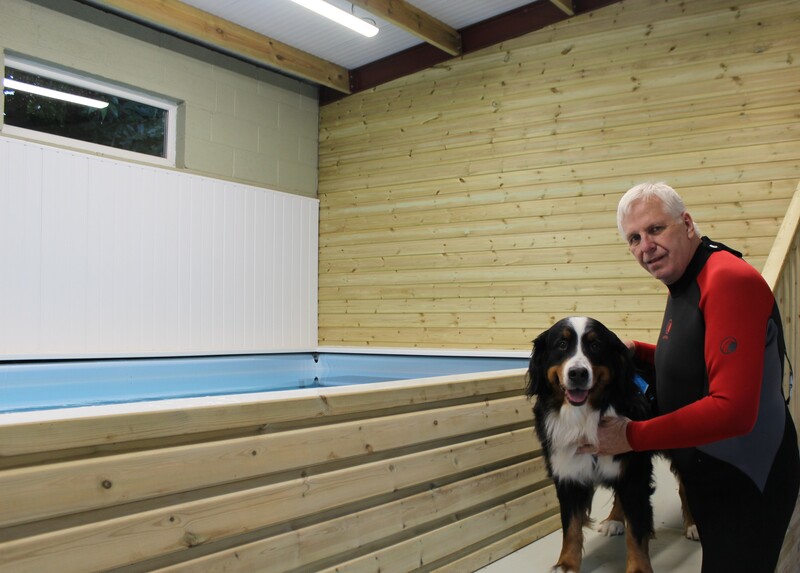 You are mentored by Barbara and her team, who are all specialists in canine hydrotherapy. Suffolk, UK or Drury, South Auckland, New Zealand. Covers: Therapeutic Handling techniques, Clinic Enrichment techniques, clinical skills + practical water management skills. These intensive days are packed full of the latest treatment techniques that integrate the knowledge from your theory studies in Module 1. You’ll learn current techniques in our two aquatic wet rooms to develop and expand your hands-on hydrotherapy skills. You will be required to do an informal phone or video-based interview and accept the terms and policies before registering for the course. These facilities include both underwater treadmill and a hydropool. Hinckley, Leicestershire, UK or Drury, South Auckland, New Zealand. You will work with a range of athletic dogs including agility dogs. Module 3 consolidates your practical skills from Module 1 and 2 and includes your practical assessment led by Maria Johnston. Module 3 consolidates your practical skills from Module 1 and 2 and includes your practical assessment led by Karynne Penfold. This course offers recognized prior learning (RPL). Vet physios can choose to attend Module 2 dates or our Vet Physio Masterclass. Veterinary surgeons, vet physios and veterinary nurses are entitled to RPL and this is discussed at the interview process. You have free access to our K9 Community for ongoing support, mentorship and free CPD resources. We wish you to be successful in your canine career and work with you to help you achieve your goals. Veterinary physiotherapists can choose to attend Module 2 dates or the Vet Physio Masterclass. Veterinary surgeons, veterinary physiotherapists and veterinary nurses are entitled to RPL and this is discussed at the interview process. You can join our K9 Community for free to receive additional support, mentoring and a stream of extra resources and clinical tools. We care that you are successful and provide you with free CPD to expand your canine therapeutic toolbox,empowering your canine service for the dogs in your professional care. We aim to provide you with an enriched and positive learning experience to achieve a pass in both the practical and theory components covered in your 10 units. You may find you require additional support beyond the 3 Modules to achieve your pass grade in either the theory or practical. We can arrange additional time together if required (at an additional fee). Our flexible course means you choose your start date. You also book and select which dates you wish to attend your practical modules. We deliver Modules 2 and 3 every month from March to November. Once you book and start your Module 1, you can then book your preferred Module 2 and 3 dates to fit around your work and home commitments. You can choose to fast track your training by completing your studies in 3 months, or you can choose dates that work for you, up to a time period of 12 months. If you require a further extension this can be arranged on an individual basis. We provide you with all the resources you need and PowerPoint workbooks for each unit in order to build your assignment e-portfolio. You receive continuous support throughout the course to make every step along the way work for you. On Modules 2 and 3 practical placements you have a wealth of additional resources. Once you have completed Modules 1, 2, and 3, you will be ready to submit your e-portfolio for marking and moderation, through our easy online system. 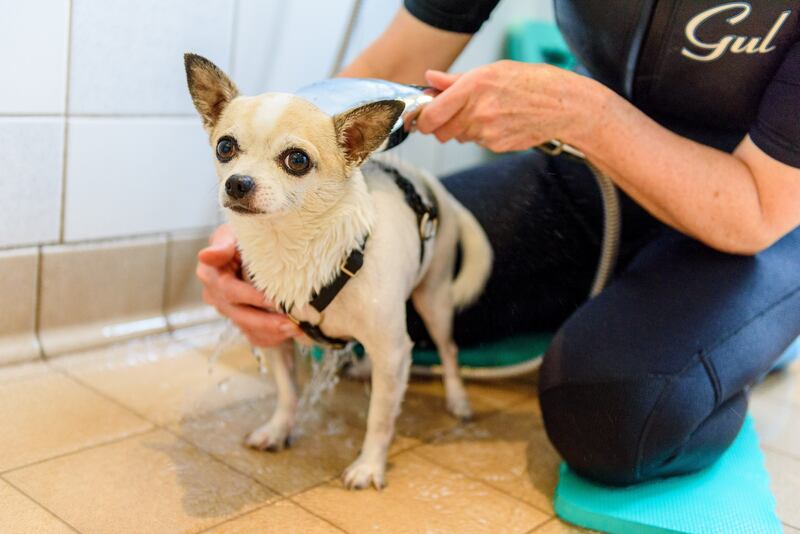 We have designed this course to be perfect for those looking for a career change or to expand their canine services and add hydrotherapy to their skills. 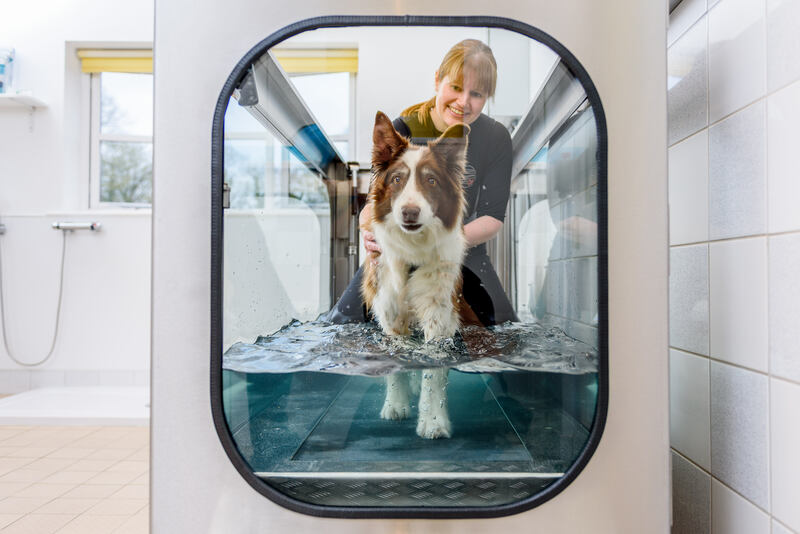 We also offer a unique package that is ideal for veterinary physiotherapists, veterinary nurses and veterinary professionals wishing to further develop their canine aquatic and hydrotherapy clinical skills. Take it from one who was fortunate enough to find these wonderful people. 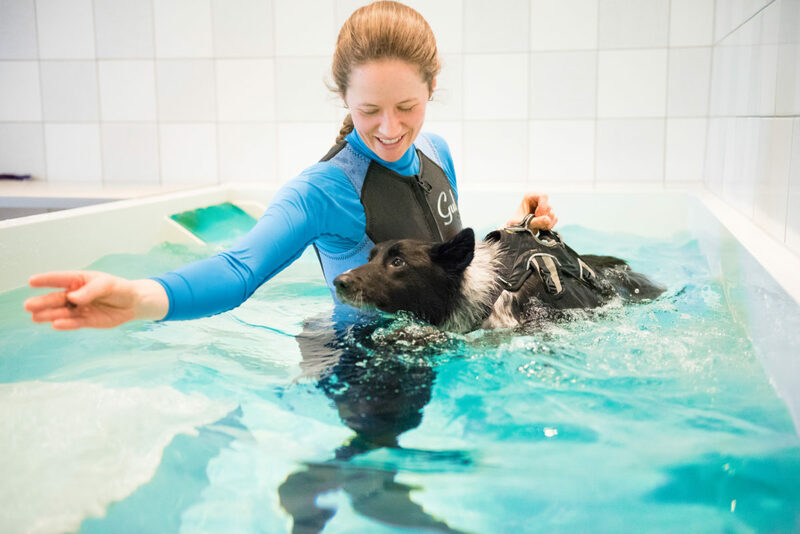 If you’re passionate about helping dogs and you feel it’s your calling to be a Hydrotherapist, you’ll want/need to get the best training possible. The best you can get is with K9HS. It’s not just the coursework. You’ll be in the pool learning hands on from the most qualified, inspirational and passionate instructors to be found anywhere. 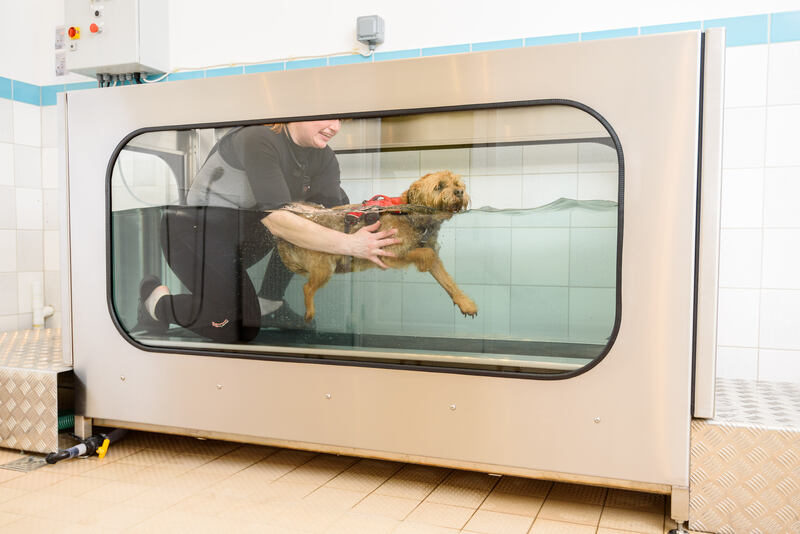 K9HS is the gold standard in Hydrotherapy training. Trust me. I was a student and now I have my own centre. Prepare to be inspired!